It's been quite an end of the year for Glasgow School of Art. The fire that swept through their beloved Mackintosh building is still a raw memory; some studios stand empty, some windows are missing. But the tragedy was laced with a silver lining, as the art community rallied and their knock-out degree shows were still displayed. The Glasgow School of Art Graduate Degree Show took place on Friday 5th September, inside the Reid and McLellan Galleries. The tremendous talent of the graduates was celebrated in a speech by Alan Horn, Director of Developemnt at the school, and Mark Cass, as Cass Art was sponsoring the show. Prussian Green tote bags were launched at the event. The artwork shown was from a variety of courses - video art, architectural models, painting, photography, fashion design, sculpture and more. You'd be hard pushed to select your favourite, but some of the highlights were from Design Student Charlotte Craig, Fine Art Student Theresa Malaney and Belinda Gilbert-Scott. Charlotte showed some stunning photographs of what, at first glance, appear to be moths - though they were in fact authentic replicas that she'd made out of organic matter, collected from the moth's natural habitats. 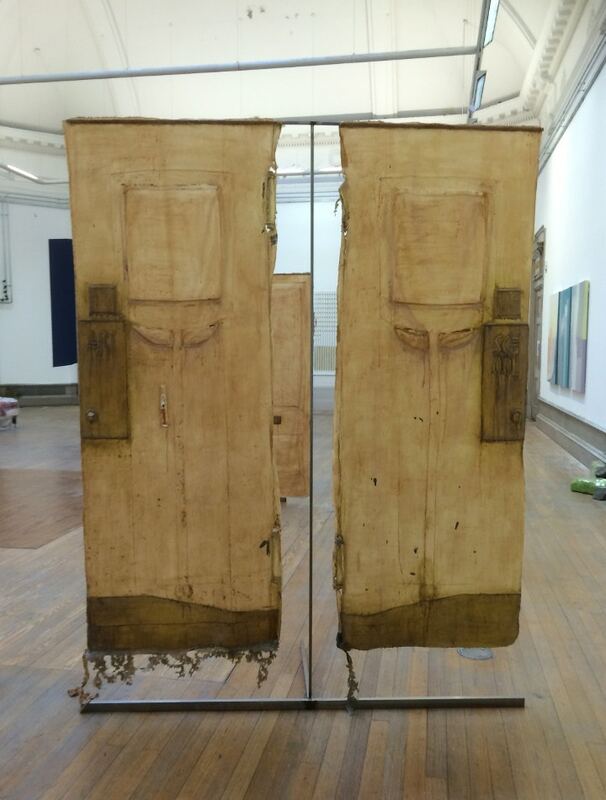 Theresa, in turn, makes work about memory and how the brain processes change, and bravely exhibited a full-size cast of the Mackintosh doors. Belinda made a large-scale wall painting for the East Gallery, complete with eyes to watch over the exhibition space. We asked the graduates a little more about their pieces - and what their plans are for pursuing art now that they're leaving the school. Your moth photographs were so striking, Charlotte. What motivated you to make this work? Had moths come up before in your practice? I wanted to research diversity in the natural environment, and communicate its importance. 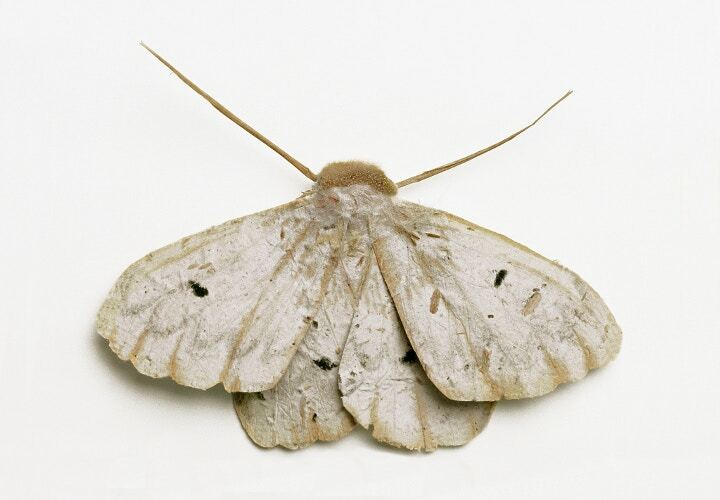 This was the first time I had looked specifically at moths; I wanted to look at a creature that was small and might live relatively unnoticed, and then magnify their presence. I had looked at birds, marine life and other insects but decided on moths because of their beautiful aesthetics in pattern and form, and also they have a slight sense of awe about them, perhaps because of their association with night. 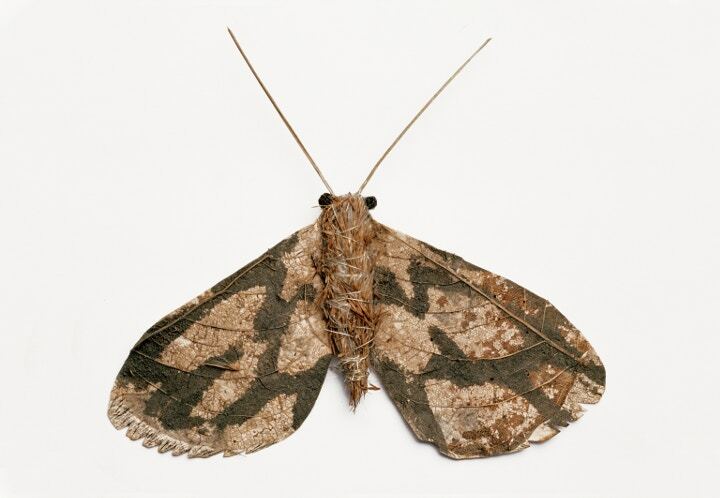 I made these in collaboration with a conservationist from the Butterfly and Moth Conservation to ground the research, and made replicas of specific moth species found in the UK. What was it like using a Hasselblad camera – was it a rewarding process going back to old analogue? I was very excited about using a Hasselblad; they are brilliant cameras and very satisfying to use, with such clever yet simple design. I love using analogue and feel a lot more connected to what I am photographing when shooting on film. And Theresa - your piece was probably an emotional one for everyone at the art school: a life-size installation of the Mackintosh Building doors. Can you tell us how you made it? I made it by casting directly from the doors, using latex. The physical process, involving contact with the doors was part of the work for me, and I photographed and filmed this. I plan to make a film, but will carefully edit, because I would like to convey something of the feeling of contact and touch - not the mechanics of casting. Bearing in mind everything that happened with the fire – do they resemble loss, or perhaps the opposite of loss – holding onto something that will always be such a huge part of the art school? All of my work relates to aspects of the brain, and the ability to change the mind through physical changes in the brain. My practice focuses on memory, recollection, viewing the past from the present, the validity of memory, and the transient nature of being. So I felt it was relevant to use the Mac doors as part of this work, as these would speak to the audience who would come and view it. Belinda, was it important for your painted collages to relate to the architecture of the East Gallery? The Psychology Of A Wall Flower needed to be in a reclusive part of a room. The cut corners worked well with the composition, cropping her to fit inside the framed space, and added a nice dynamic compositionally. It was also reminiscent of the traditional mural painting in Glasgow of gable ends. She could have been the east or the west room, but specifically she needed to be at the end of the room, to give her the best advantage. 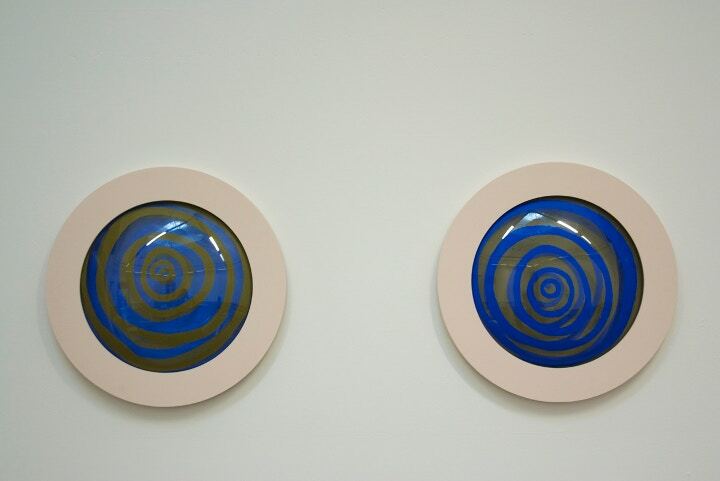 Using the composition of the room I placed Trust in Me diagonally opposite her, a pair of hypnotic eyes staring across the room creating a dialogue between the artworks. What kind of paintings did you make throughout your time at GSA, and how did they lead you to working directly on the wall for the degree show? While I was at GSA I worked on many ideas which connected to looking, and being looked at. One of the first pieces I did was a blank canvas with to bulging eyes popping out called You Looking At Me. I am interested in creating a visual dialogue with the viewer, and creating the same between artworks either of my own or others'. I am trained a a Scenic Painter, so I am used to painting mural scale images, but this one is the first I have done for my own practice. 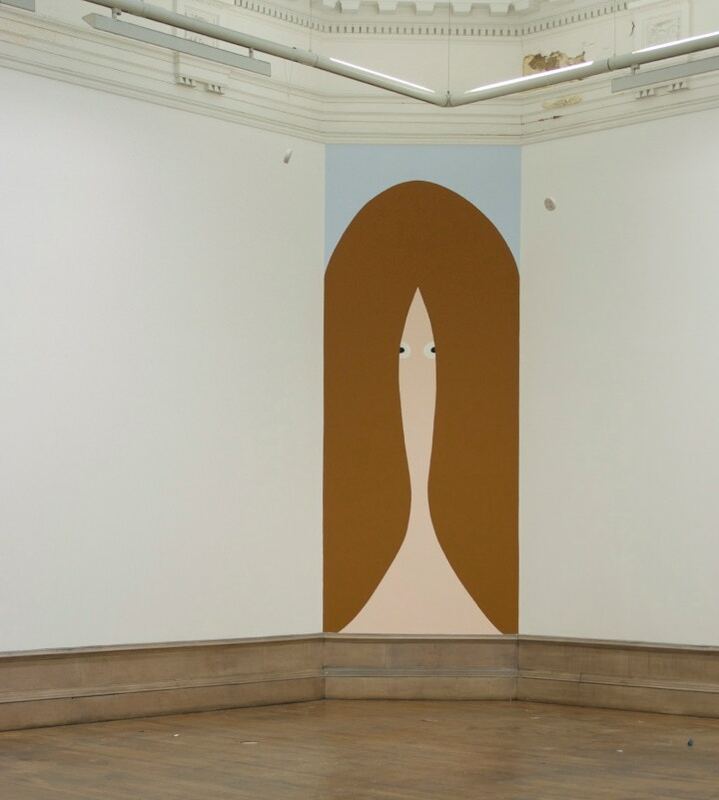 Wall painting fits very well for my work; once the show was over, painting out Wall Flower felt very satisfactory. She has disappeared but remains in the fabric of the building. Also, the act of painting over her keeps it very relative to the painting tradition as she becomes part of the invisible layering in the process of painting. What's next for you, now you have finished at GSA? CC: The momentum of an MA has been intense, so a tiny break and then back on to working on a new project. I want to continue doing more design work alongside conservation groups. TM: I plan to continue to research, make and show work. I will exhibit work in October in the Grace and Clark Fyfe Gallery, as part of a group show. I would like to stay connected to the artistic community of GSA; the strength of this community was especially apparent around the time of the fire. BGS: I will be working on small group shows with a few of the graduates from my year, re-instating Caravan residency programmes where I live. I am off to a residency in Eigg, working on ideas for small group shows with a few of the graduates from my year, and also working towards a solo show for the G.I 2016. 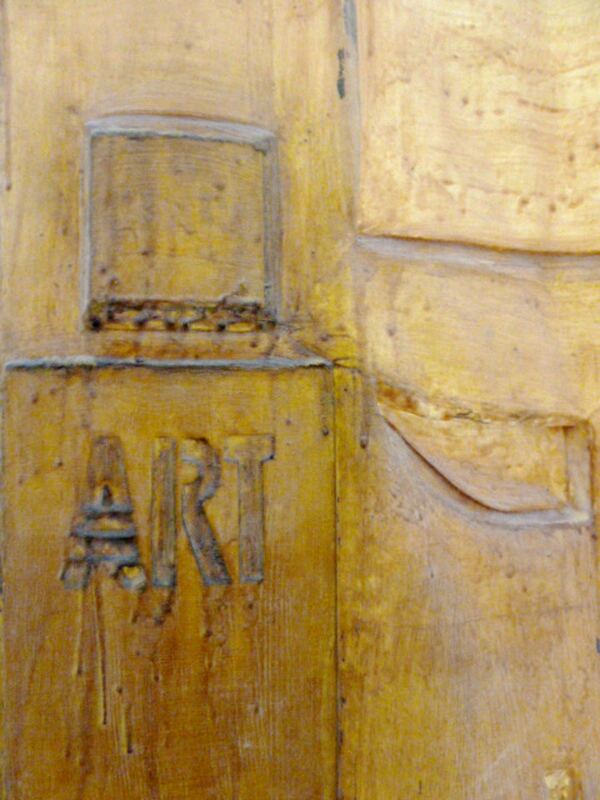 You can read more about the Glasgow School of Art on their website. Cass Art will soon be opening in Glasgow, and we want to celebrate all art exhibitions and student art events in the area. Use the hashtags #openforart #glasgow to let us know about any art events near you and we'll share the news!